May 27, 2016, 10:01 a.m.
By Joseph Lichterman @ylichterman May 27, 2016, 10:01 a.m.
ZURICH — The Swiss media group Tamedia publishes more than 20 different titles — from daily broadsheet newspapers to a women’s magazine that comes out every three weeks. 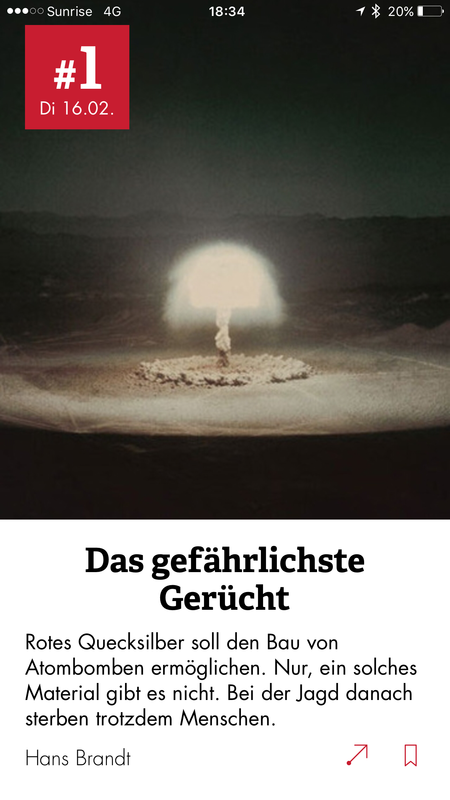 Though these publications have widely disparate audiences, Tamedia is now trying to bring that readership together with 12-App, a paid German-language app that collects and repackages 12 stories from across the company’s publications. The app is an attempt to build a younger subscriber base that will pay for digital content. It’s also been a way for Tamedia to experiment with data, as it’s developing an algorithm to try and predict which stories will be most successful in 12-App. “We have a lot of good-quality content,” Michael Marti, head of digital at the broadsheet Tages-Anzeiger, said in an interview in his office at Tamedia’s headquarters. Marti oversaw the app’s development and runs the 12-App team. 12-App has been downloaded around 40,000 times and has about 15,000 daily users, Marti said. Users have access to 12 free stories each month before they have to pay. About 1,500 users are paying 6 Swiss francs (USD $6.04 U.S.) for standalone subscriptions. Forty percent of readers get full access to the app through existing subscriptions to other Tamedia publications. The app refreshes each day at noon, and users get a push notification alerting them to the 12 new stories. About 5,000 users open the app right when the fresh edition comes out, and on average, they swipe through six and a half stories. Tamedia isn’t promoting the app as a way to stay up to date on breaking news. Rather, it’s pitching it as a way for readers to get context around the news, along with interesting feature stories. Tamedia began developing the app in late 2014, following an internal innovation contest that invited teams to submit ideas to be funded by the company. It launched on iOS last October and on Android in February. News organizations such as The Economist, with its Espresso app, and The New York Times, with its NYT Now app, have also created news digest products. The Economist offers Espresso at a lower price than a regular subscription. 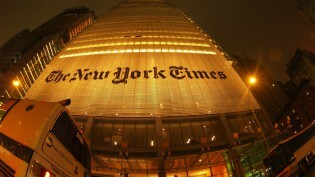 NYT Now was designed as a subscription product, but after it was unable to attract enough paying subscribers, the Times made it free. Tamedia’s goal with 12-App is to hit 60,000 downloads and 2,200 paying subscribers, but in a German-speaking Swiss market of only about five million people, there’s a limit to the number of people the company will be able to reach. However, the company is trying to maximize its appeal to readers by integrating data into its decision making processes. At the end of each story, readers are asked, “Was this article worth reading?” About 20 percent of readers actually respond to the question, and of those, more than 80 percent say the articles were worth their time. Coupling that information with the number of screen views each story receives, 12-App has built a system to determine which stories readers really want. The company is able to rank and classify the stories by publication, topic, and more. 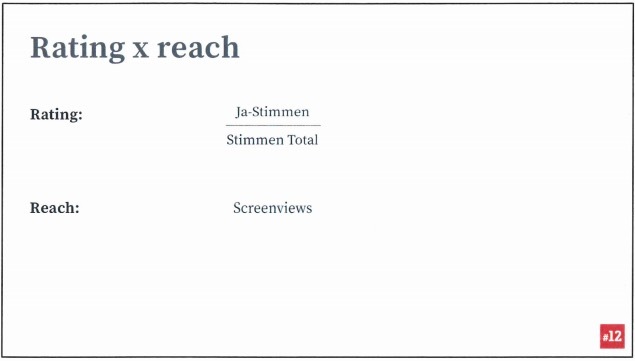 Using this data, for example, staffers realized that readers weren’t interested in lifestyle stories — they had low ratings and little reach — so they began leaving those stories out of the app. 12-App is most interested in providing stories that readers rate highly, especially since it is an ad-free subscription-based product. 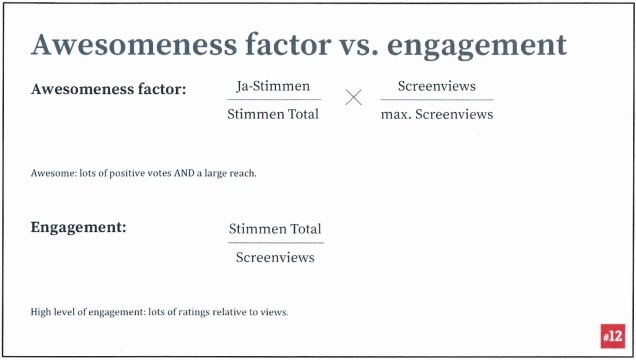 12-App has also developed more complex data sets, including “Awesomeness Factor,” which combines the stories’ positive ratings and reach. It’s also measuring engagement by dividing the total ratings by the number of pageviews. 12-App has taken all this data and used it to create a predictive tool called Roboeditor, which launched as a web-based prototype in April. Editors enter a story’s body text, its author, original publication, and its section into Roboeditor. 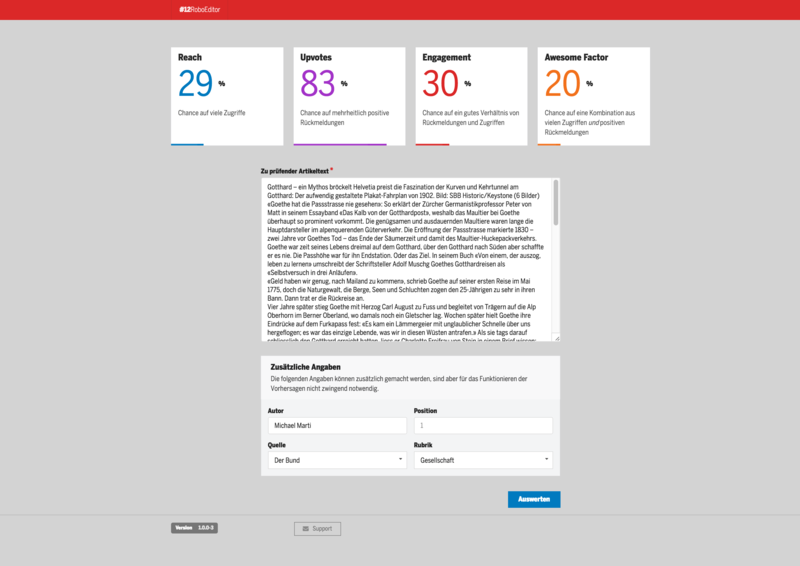 Using all the previous stories published in 12-App, the tool predicts the new story’s reach, ratings, “Awesomeness Factor,” and engagement. The ideas is that editors will be able to use this data to help pick stories that will be most successful in the app. Marti said Roboeditor has an 83 percent success rate, and while it’s still being tested, he would ultimately like to integrate it into 12-App’s CMS. “The idea isn’t to substitute the editors, the humans, but to give them support,” he said. “They have to read 300 articles, and that takes a lot of time.” He envisions editors getting a list of 50 stories each morning, and choosing 12 from that list. 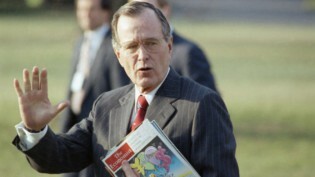 The first three or four stories in each edition of 12-App are usually tied to the news of the day. The rest of the content that’s included in the app is whatever editors deem to be the best stories of the day. Still, Tamedia has instructed the editors not to select more than three stories from an individual publication for any given issue, out of fear that including more would take paying subscribers away from those outlets. A team of six worked on developing the app, but there’s now one editor who focuses on putting together the day-to-day editions. They rework headlines and choose new art for stories to make them more appealing for a mobile audience. For instance, a story from last fall on the mafia in Naples featured a photo of a Naples streetscape. 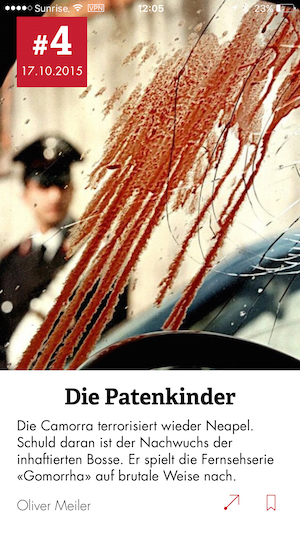 The version of the story in 12-App included a photo of a blood-coated windshield. Marti said that editors from Tamedia’s various publications often send him emails pitching stories to be included in the app. And for some of the publications, such as the women’s magazine Annabelle, 12-App is their only mobile presence. “This is the first time we are really taking care to produce for a digital product,” he said. For the company as a whole, 12-App marks the first time the different titles have really worked together, and Marti said he expects the collaboration to continue as the digital landscape shifts. POSTED May 27, 2016, 10:01 a.m.
Lichterman, Joseph. "A Swiss publisher is trying to attract a paying audience with an app sampling stories across publications." Nieman Journalism Lab. Nieman Foundation for Journalism at Harvard, 27 May. 2016. Web. 20 Apr. 2019. Lichterman, Joseph. "A Swiss publisher is trying to attract a paying audience with an app sampling stories across publications." Nieman Journalism Lab. Last modified May 27, 2016. 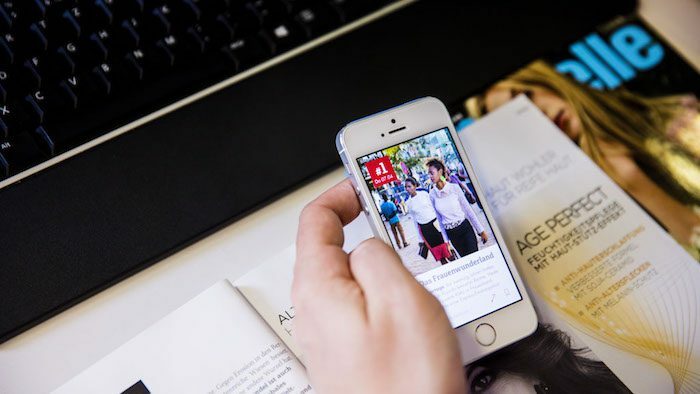 Accessed April 20, 2019. https://www.niemanlab.org/2016/05/a-swiss-publisher-is-trying-to-attract-a-paying-audience-with-an-app-sampling-stories-across-publications/.